I found this on the street in La Jolla Ca. 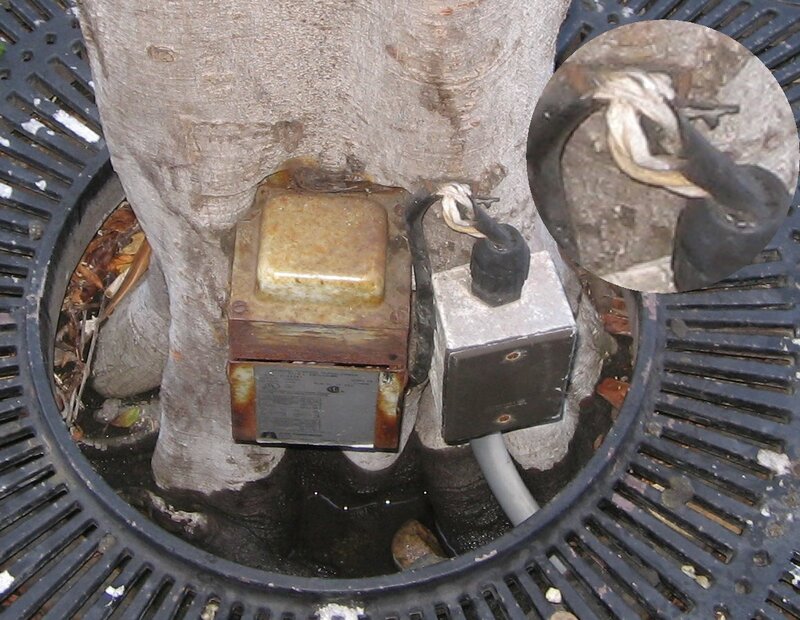 In some places, it's illegal to use trees as a mounting surface for electrical equipment. Can't find fault with that rule. How do you accomidate afixxed to the tree lighting?